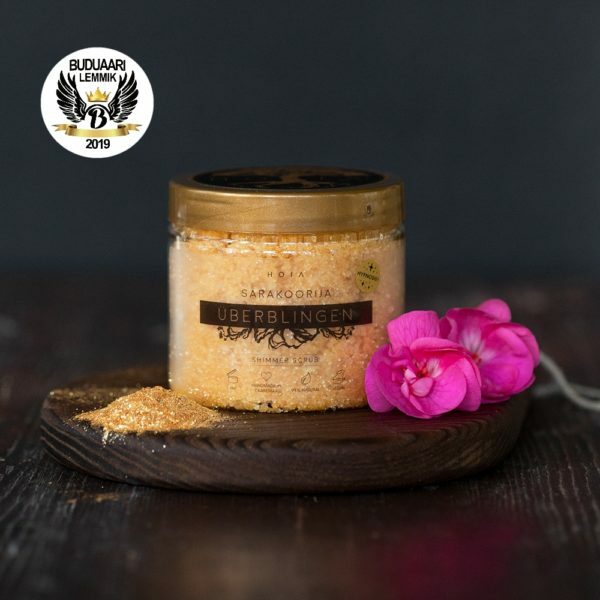 Überblingen is a super shimmering body scrub with a tropical mandarin and flower (ylang-ylang) aroma. Shimmer Scrub is rich in organic unrefined shea butter and coconut oil, which effectively moisturize, hydrate and soften your skin; it contains sugar and Himalayan salt, which help to scrub away all impurities and dead skin cells leaving your skin soft and silky smooth. There is no need to use a moisturizer after using this scrub. Shimmering particles in this product are of mineral origin and they do not harm environment. How to use: Apply in a circular motion and massage it on your skin for few minutes, rinse with water. No need to use a moisturizer afterwards. Keep product under +25 °C. Koostisosad / Ingredients: Sucrose, Sodium Chloride (Himalayan salt), *Butyrospermum Parkii (shea) Butter, *Cocos Nucifera (coconut) Oil, Citrus Nobilis (mandarin) Peel oil, Cananga Odorata (ylang -ylang) Flower Oil, Elettaria Cardamomum (cardemon) Seed Oil, Mica, **Tin Oxide (CI 77861), **Titanium Oxide (CI 77891), **CI 77491 (Iron Oxide), **Fluorphlogopite, ***Linalool, ***Limonene. ** Plastikavaba mineraalse Mica komponent./Plastic-free mineral component of Mica. *** Looduslik eeterliku õli component. /Natural component of essential oil. Koostisosad / Ingredients: Sucrose, Sodium Chloride (Himalayan salt), Butyrospermum Parkii (shea) Butter, Cocos Nucifera (coconut) Oil, Citrus Nobilis (mandarin) Peel oil, Cananga Odorata (ylang -ylang) Flower Oil, Elettaria Cardamomum (cardemon) Seed Oil, Mica, *Tin Oxide (CI 77861), *Titanium Oxide (CI 77891), *CI 77491 (Iron Oxide), *Fluorphlogopite, **Linalool, **Limonene. *Mica mineraalne component. 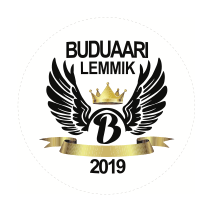 **Looduslik eeterliku õli component. /*Mineral components of Mica. **Natural component of essential oil. Lihtsalt imeline. Nahk on siidine ja sile, miljoni dollari säraga. See on midagi nii fantastilist, et ei suuda sõnadesse panna! Lõhn on nii lummav, et tahaks iseend Nahka pista. Nahk jääb nii siidine peale koorimist ja see läige… Oeh! Pole imelisemat asja varem kasutanud! Nii ülihästi koorib ja see sädelus-lihtsalt super!